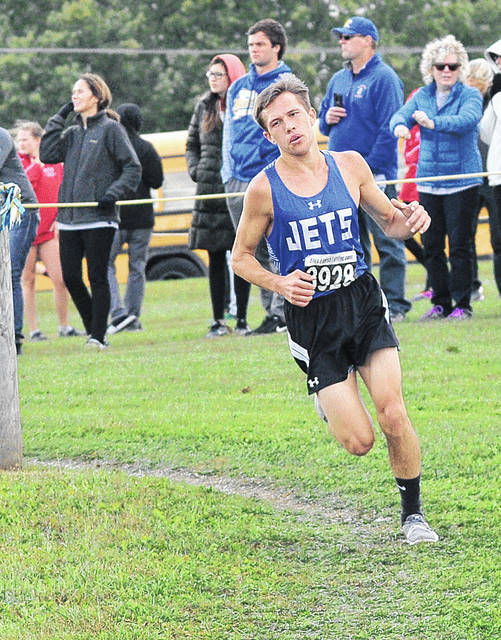 Franklin-Monroe’s Cole Good placed seventh in the Division III boys district race on Saturday to advance to next week’s regional meet in Troy. 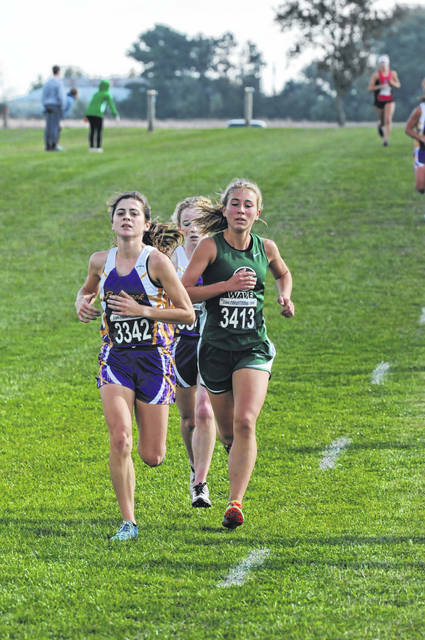 Greenville’s Isabelle Rammel placed 14th in the Division II girls district race on Saturday to advance to next week’s regional meet in Troy. 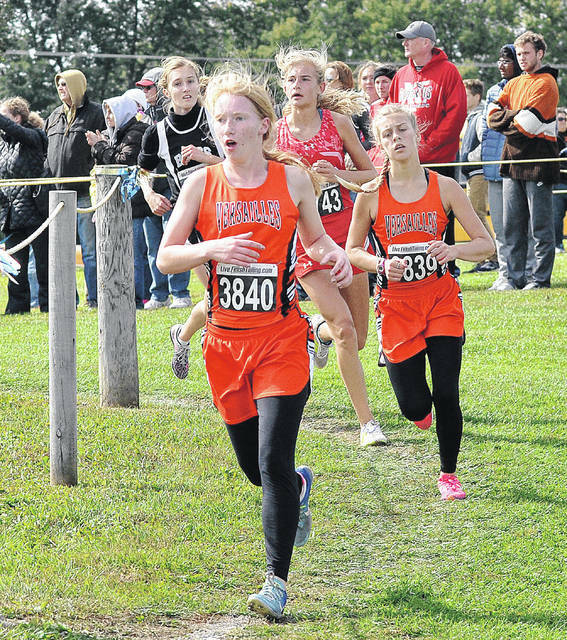 Maria Mangen and Madelyn Holzapfel placed 13th and 15th respectively to help Versailles finish third as a team and advance to next week’s Division III regional meet in Troy. 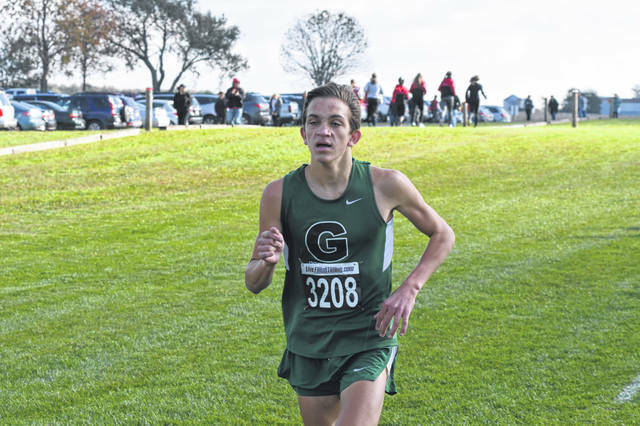 Greenville’s Riley Emerick placed 30th in the Division I boys district race on Saturday to advance to next week’s regional meet in Troy. 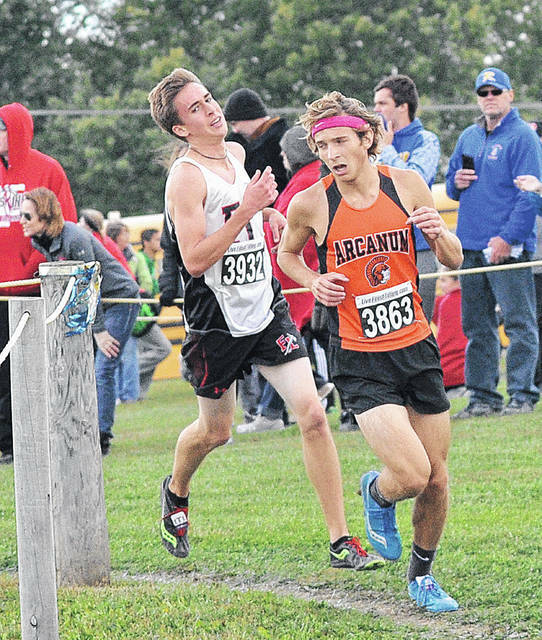 Arcanum’s Tanner Delk finished as runner-up in the Division III boys district race on Saturday to lead his team in advancing to next week’s regional meet in Troy. CEDARVILLE – Tanner Delk finished as the runner-up in the Division III boys district race at Cedarville on Saturday helping lead the Arcanum Trojans to a sixth-place finish in advancing to next week’s regional meet in Troy. Delk ran the course in a time of 16 minutes, 17.78 seconds while the Trojans totaled 174 points. Landen Kreusch (17:42.92) and Logan Todd (17:48.26) also placed in the Top 36 individuals for Arcanum. Franklin-Monroe’s Cole Good will compete next week in the regional meet. He finished seventh overall in the D-III boys race with a time of 16:47.19. In the D-III girls race, both Versailles and Bradford are advancing as teams. The Tigers took third place with a score of 130 while the Railroaders were fourth (142). Finishing in the Top 32 for both teams were Bradford’s Skipp Miller (7th place, 19:57.14), Karmen Knepp (16th, 20:32.89) and Austy Miller (21st, 20:48.93). For Versailles, Maria Mangen was 13th in 20:27.38 followed by Madelyn Holzapfel (15th, 20:31.5) and Kara Spitzer 928th, 21:04.35). Arcanum freshman Lydia Shannon also advanced as an individual. She crossed the finish line in 23rd place with a time of 20:48.98. In the Division I boys race, Greenville sophomore Riley Emerick placed 30th in 16:53.19 to advance. Also for the Green Wave, Isabelle Rammel placed 14th in the D-II girls race to qualify for the regional meet. Her time was 20:15.48. In the D-II boys race, Versailles just missed on qualifying as a team by placing eighth, but Brooks Blakeley will compete next week after finishing in 14th place individually. His time was 17:08.77.